If you love confusing your customers and having an inbox flooded with easily avoidable support tickets, stop reading. For the rest of you, pay close attention. Recently, we introduced you to a tool that helps you create easy-to-understand product and website walkthroughs: UserGuiding. And because Sumo-lings have been all over this UserGuiding deal, we are almost out of codes! 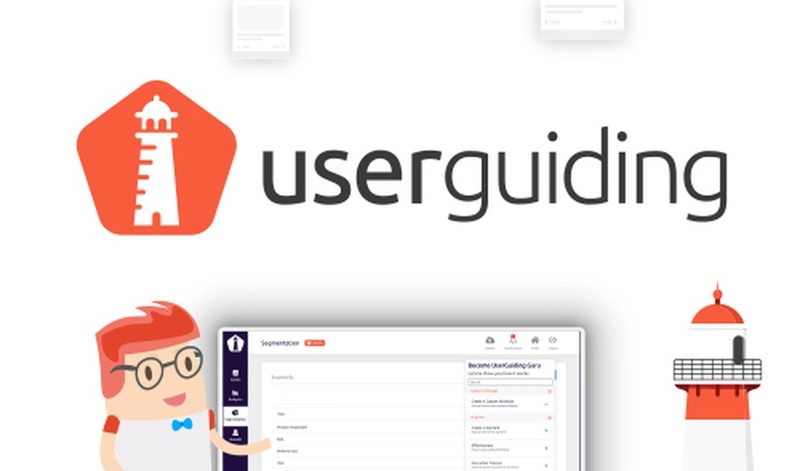 UserGuiding helps you create user-friendly, interactive on-site guides so customers can quickly understand how to use your website and products. Right now (while we still have codes! ), you can get lifetime access to the UserGuiding Start-up Plan. Sumo-lings can get lifetime access to this plan for just $49! Help customers understand your product and website now! For you Sumo-lings lookin' to stack this deal to make it even more powerful, simply purchase two codes at checkout and get lifetime access to the UserGuiding Agency Plan. And if you're a real opportunist (and we respect you for it), stack up to 5 codes to get up to 5k active users! Your website and products can be loaded with all of the best features in the world. But if your customers don't know how to use them, they are going to waste. UserGuiding makes it easy to design (without coding) fully customizable, eye-catching walkthroughs and hotspots. Start decreasing customer support tickets, increasing conversions, and improving customer satisfaction. Get lifetime access to UserGuiding for just $49! P.S. Remember: Stack 2 codes to get access to the agency Plan, and stack up to 5 codes to get 5k monthly active users.